Putting it straight, if Jose Mourinho was Nigerian, there is no way he would escape Buhari’s anti-corruption war — either by being locked up by the Economic and Financial Crimes Commission (EFCC) or being labelled in the media as corrupt. 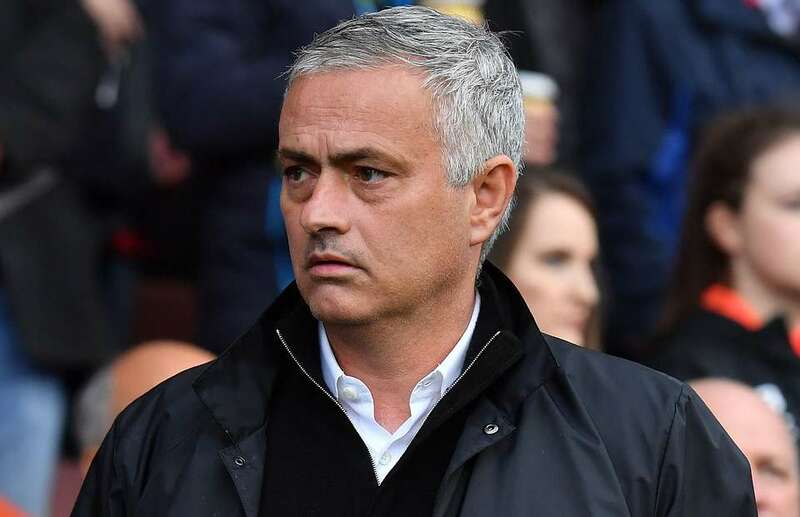 Having seen his side easily defeated on home soil last month in a UEFA Champions League tie against Jeventus, Mourinho’s post-match address posited that he needed to spend more to be at the level of the likes of Juventus, Manchester City, Real Madrid, and Barcelona. No one will fight the Portuguese over what he believes should move the club forward, but the question to ask him is: how much more will he need to spend to take United to where they ought to be? Mourinho has spent £388.89m since taking over the helm of coaching affairs at Old Trafford in May 2016. This falls short of that of neighbours City, who have spent £543.17m on recruiting players since the same period, level with Liverpool and Chelsea, both on £388.89m. But unlike United, who generated just £85.3m from the sales of players from 2016, the trio of Manchester City, Chelsea, and Liverpool have generated £144.46m, £277.65m, and £289.65m respectively. But let’s put all these aside, and take a look at how rational Jose’s belief that United still need to spend more. A look at the 11 players Mourinho has signed since joining United since 2016, and how rational or irrational is his stance that the club needs to spend more. Romelu Lukaku (£76.23m): The Belgian has scored 32 goals in 65 appearances since joining the Club last summer, but his inability to score in big games, appalling first touch and a run of poor form of late has seen his ability as a player questioned by many. And in the words of Scholes, “I’m not sure if you are ever going to win the league with a goal-scorer like him”. Nemanja Matic (£40.23m): The only thing you can take a jibe at Matic for is his failure to unlock Pogba. Signed from rivals Chelsea last summer, Matic, arguably, has been the most decent of all Mourinho’s signing. Eric Bailly (£34.2m): Showed some early good signs when he joined the club last season, but injury has kept the Ivorian in and out of the team. His form this season hasn’t done himself any justice, though. Victor Lindelof (£31.5m): Struggled on arrival at the club last season, but his resurgence this season has made him one of the more important players at the club currently. Fred (53.1m): With Matic’s failure to unlock Pogba, Fred came. Has he unlocked Pogba? He needs to find himself a place in the starting X1 first. Diogo Dalot (£19.8m): Had an impressive debut against Young Boys in the Champions League, but he has been unavailable since then. Too early to judge the 19-year-old old; hopefully, he will be a good buy for the future. Henrikh Mkhitaryan (£37.8m): He was the reigning Bundesliga player of the year when he moved to United in 2016, he could not replicate the same form for the Red Devils, and in the winter of 2017, he was used for the swap deal that brought Sanchez to the club. Lee Grant (£1.53m): Brought in as the No.3 goalkeeper for United. He had his debut when Romero was sent off in the Carabao cup game against Derby, could not save United as they lost out to the Frank Lampard’s boys on penalties. Why spend over £1m on a 35-year-old goalkeeper whose surprise appearance against Derby might be the last competitive game for the club, when you can promote a young goalkeeper from the academy? Two things have helped Mourinho keep his job — he has built a relationship with some important ex-internationals, most notably, Gary Neville, who always throws his weight behind the 55-year-old, but blame the management for United’s woes. Secondly, the ex-players that are critical of him, he has decided not to pull a MOU on them — these are virtues that might have kept his predecessor Louis Van Gaal in the job. With Mourinho’s persistent outcry over lack of signings at United, it looks like it will be a game of who goes first between Ed Woodward and the former Chelsea manager. Five windows, 11 players, and £388.89m spent, in the Woodward’s interest, send Mourinho to Nigeria, he needs to visit the EFCC office.